Dr. Phillips is proud to offer Invisalign treatment! the smile you've always wanted, without the pain and anxiety associated with metal braces. Invisalign is a series of clear, removable aligners designed to gradually move your teeth. Each set of aligners is worn for about two weeks, and removed only to eat, drink, brush and floss. As each set of aligners is replaced with the next in the series, your teeth will gradually move until they reach the position the doctor has prescribed for you. The average treatment time varies, but can last about for up to one year. An average Invisalign course of treatment takes about a year. At regular intervals, you'll receive a new set of custom-molded clear aligners to continue the straightening process. The total number of clear aligners is specific for your case and determined by the doctor at the beginning of treatment. 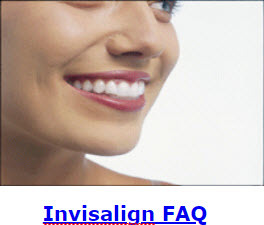 Since Invisalign is practically invisible, there is no noticeable applicance in your mouth. In fact, very few people will notice at all - unless you tell them. They're comfortable to wear and remove easily when you eat, brush, and floss. Contact us today at (603)643-3190 to schedule an Invisalign consultation!